Stella L. Owens-Murrell, Administrative Law Judge (ALJ), Office of Administrative Hearings (OAH), State of California, heard this matter on April 13-14, 2010, and 19-22, 2010, in Laguna Hills, California. Anaheim City School District (District) was represented at the hearing by Diane Willis, Attorney at Law. Liz Peterson, District Program Specialist, was present on April 13, 2010. Sherry Blakely, Director of Special Services for District, was present for the remaining days of hearing. Student was represented at the hearing by Attorneys at Law Maureen Graves, Rhonda Krietmeyer, and John Nolte. Student’s Mother was present for the entire hearing. At all times, a certified court interpreter provided Spanish-language interpreting services for Mother. Student did not attend the hearing. District filed an Amended Due Process Hearing Request on February 2, 2010. The matter was continued for good cause on February 10, 2010. At the conclusion of the hearing, the matter was continued to May 13, 2010, to permit the filing of written closing arguments. The parties timely filed written closing argument, at which time the record was closed and the matter was submitted. 1) Whether District’s March 2009 psychoeducational assessment was appropriate, such that District need not fund an independent educational evaluation (IEE)? 2) Whether District’s functional behavior assessment (FBA) dated December 18, 2009, was appropriate, such that District need not fund an IEE? 1. Student is an eight-year-old girl who resides with her parents within the jurisdictional boundaries of the District. Student has been enrolled in the District since April 2005. She qualifies for special education services under the category of autistic-like behaviors. Student also has severe receptive and expressive language delays. 2. Student resides in a household where the dominant language is Spanish. Parents are bilingual but Mother speaks to Student in English. She attends Roosevelt Elementary School (Roosevelt) where she is enrolled in a third grade special day class (SDC) and receives her instruction in English. 3. On January 13, 2009, District prepared an Assessment Plan to evaluate Student for purposes of planning her program and services in preparation for Student’s annual IEP. District proposed to assess Student in the areas of academic skills, intellectual development, psychomotor development, health, receptive and expressive language, social competence, behavior, emotional functioning and adaptive functioning. Mother consented to the proposed assessments. 4. District retained Lauren Franke, Psy.D. (Dr. Franke) to conduct a comprehensive psychoeducational assessment of Student to determine her present levels of functioning and assist with planning her educational program as set forth in the assessment plan. 5. Dr. Franke is a licensed Clinical Psychologist and licensed Speech and Language Pathologist. She has a B.A. degree in speech and hearing, a M.A. in communicative disorders, and a Psy.D. in clinical psychology. She is a private practitioner specializing in the diagnosis and treatment of developmental disabilities, autism spectrum disorders, learning disorders, and attention deficit hyperactivity disorder (ADHD). She consults with various school districts about modifying curriculum and developing classroom programs for autistic children. She conducts IEEs, including cognitive testing, and has assessed over 1,000 children diagnosed with autism. 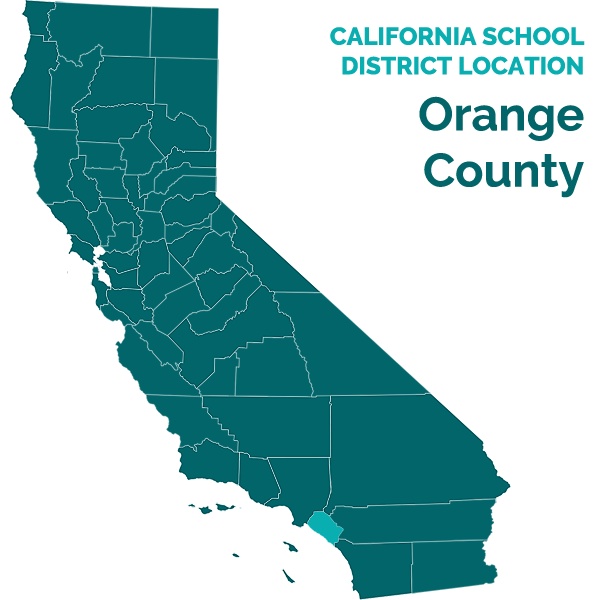 She provides in-service trainings and presents programs through the Orange County Department of Education (OCDE) on best practices, report writing, and conducting appropriate assessments. Dr. Franke has more than 30 years of experience as a speech and language pathologist and 20 years as a clinical psychologist. She testified that she is experienced in the administration of cognitive assessments. Dr. Franke is not a credentialed school psychologist. 6. Dr. Franke’s assessment of Student consisted of: parent and teacher interviews; a review of Student’s educational records, medical records, and background; a review of previous assessments and reports; and observations of Student in the classroom, Dr. Franke’s office, and at home during delivery of Student’s discreet trial training program (DTT). Student was also given a series of cognitive, memory, and language tests. Social communication, social competence, and narrative skills were also evaluated. Dr. Franke also reviewed the California English Language Development Test (CELDT) to determine Student’s English language proficiency and concluded that Student’s language proficiency was impacted by language delays and autism but that Student’s primary language was English, Student had some knowledge of Spanish, and that Mother spoke English to Student at home. 7. Dr. Franke selected and administered the following standardized tests to Student: (1) Kaufman Assessment Battery for Children, Second Edition (KABC-II), (2) Berry-Bucktenica Developmental Test of Visual-Motor Integration (Berry-VMI), (3) Wide Range Assessment of Memory and Learning, Second Edition (WRAML-2), (4) Kaufman Test of Educational Achievement, Second Edition (KTEA-II), (5) Language and Social Communication Skills, including Expressive Language and Communication, Receptive Language, Social-Affective Signaling, Speech and Articulation, Action Picture Test, Comprehensive Assessment of Spoken Language (CASL), and The Renfrew Bus Story, (6) Social Competence, including Social Responsiveness Scales (SRS)-Motivation Scale-Teacher, (7) Test of Auditory Processing Skills, Third Edition (TAPS-3), (8) PDD Behavior Inventory (PDDBI)-Teacher and Parent, and (9) Adaptive Behavior Assessment System, Second Edition (Ages 5-21)-Parent and Teacher (ABAS-II). 8. The assessment was conducted over nine non-consecutive days from January 29, 2009, to March 13, 2009. Student was seven years old and in a second grade general education class with a one-to-one aide at the time of the assessment. The results of the assessments were summarized in a written report issued by Dr. Franke on March 20, 2009. The assessment results and recommendations are discussed below. 9. The KABC-II is an individually administered measure of cognitive ability of children and adolescents aged three through 18. Dr. Franke explained the KABC-II test was useful for the assessment of minority children and adolescents within a wide variety of settings. Utilizing the Luria and Catell-Horn-Carroll (CHC) theoretical models of intelligence, the KABC-II also purports to provide data on how a student receives and processes information from which cognitive strengths and weaknesses can be identified. The authors of the KABC-II require the evaluator to select either the Luria or CHC model before testing a child or adolescent. 10. The KABC-II test manual provides that cases where the Luria model would be preferred include, but are not limited to, children from a bilingual background, a child whose non-mainstream cultural background may have affected knowledge acquisition and verbal development, a child with known or suspected language disorders, whether expressive, receptive, or mixed receptive-expressive, a child with known or suspected autism, a child who is deaf or hard-of-hearing. The Luria model focuses on a child’s mental processing ability deemphasizing acquired knowledge and yields a score called the mental processing index or MPI. 11. The test manual recommends the CHC model for most other situations, including evaluation of children with disabilities in reading, written expression, or mathematics; mental retardation; ADHD; or emotional/behavioral disturbance. The CHC model is also particularly appropriate for evaluating children for entry into programs for the gifted and talented because such programs typically emphasize academic skills and because crystallized ability tends to be a strength of gifted children. The CHC measures general cognitive ability and yields a score called the fluid crystallized index or FCI. The models use the same test battery 1 with the exception of a knowledge component used only under the CHC model. 13. The KABC-II consists of numerous scales and subtests including the Fluid Crystalized Index (FCI) or intelligence scale, Short-Term Memory Index (Number Recall, Word Recall, and Hand Movements), Visual Processing (Rover, Triangles, Gestalt Closure, Block Counting), Long-Term Storage and Retrieval (Atlantis, Rebus, Atlantis Delayed), Planning (Story Completion, Pattern Reasoning), Knowledge (Riddles, Verbal Knowledge, Expressive Vocabulary), and Nonverbal Index (Hand Movements, Triangles, Block Counting, and Pattern Reasoning). 1 The KABC-II test manual states that the tests are scored and computed differently based upon the theoretical model selected because the tests have different components and apply different formulas. 2 At hearing, District prepared a comparison of the assessment scores utilizing each theoretical model. Dr. Fanke’s testimony was that, while Student may have scored slightly higher on the subtests using the computations of the Luria model, there was no significant difference and the results probably would not have affected a different outcome in her recommendations. Regardless, the Individualized Education Program (IEP) team was not provided with these comparisons at the time of the IEP team meeting convened to review the assessment and could only be guided by the information they were provided by Dr. Franke at the time of the IEP. 3 The KABC-II test manual instructs that each subtest has a rule for when to stop administering test items listed in the test protocols. Generally the rule requires the test administrator to discontinue counting the test items answered correctly before a specified number of consecutive item scores of 0. On the Atlantis and Rebus Delayed subtests the stopping point is determined by the last item the pupil reached on Atlantis or Rebus, respectively. The test administrator is not to give credit for any items that may have been administered beyond the stopping point dictated by the discontinue rule. The rule is strictly applied in scoring standardized tests. 4 Title 5, California Code of Regulations, section 3085 provides notwithstanding Government Code section 11425.10(a)(7) of the Administrative Procedure Act, orders and decisions rendered in special education due process hearing proceedings may be cited as persuasive but not binding authority by parties and hearing officers in subsequent proceedings. 14. On tests designed to measure Student’s general cognitive ability, Dr. Franke erred in scoring the FCI global intelligence scale, which resulted in a standard score of 72. When cross-examined at hearing, Dr. Franke agreed that when correctly computed, the standard score increased to 73. However, according to Dr. Franke due to significant variability of Student’s scores, the overall score whether 72 or 73, could not be interpreted, and was not considered meaningful, because Student presented with such an unusual atypical cognitive profile. According to Dr. Franke, these scores had to be interpreted with caution. 15. Student obtained a standard score of 94 on the Short-Term Memory Index, which fell in the average range. Student’s scores on the Number Recall, Word Recall and Hand Movements subtests, which comprised the overall score, were in the average range. Dr. Franke interpreted the Short-Term Memory scores as indicative of an area of personal strength for Student. 16. Student obtained an overall standard score of 69 on the Visual Processing scale. Visual Processing measures the ability to perceive, store, manipulate, and think with visual patterns. She obtained a wide range of scores on the subtests that comprised the overall score. For example, Student did not understand the directions on the Rover subtest and received a scaled score of one, falling in the lower-extreme range. She also scored below average in Block Counting. However, she scored average in Triangles and above average on Gestalt Closure. The report noted that the overall score was not a valid indicator of Student’s visual processing skills due to the wide range of variance in these scores. At hearing, Dr. Franke testified that she erred in scoring the Block Counting subtest. The test protocols required the test administrator to score all teaching items which would have resulted in a corrected raw score and appropriate conversion to reach the correct standard score. 17. Long-Term Storage and Retrieval measures the ability to store and efficiently retrieve newly or previously learned information. Student obtained a standard score of 86 in the below-average range. Student’s score on the Atlantis subtest was seven, in the below-average range, while the Rebus and Atlantis Delayed test scores were in the average range. Dr. Franke interpreted these scores as indicative of an area of relative strength for Student. 18. At hearing, Dr. Franke admitted that she failed to follow the test protocols in scoring the Atlantis subtest. She failed to follow the “discontinue rule” 3 when scoring the number of items Student answered correctly on the test, erred calculating the cumulative score, and incorrectly converted the cumulative score to a raw score, which resulted in reporting an incorrect scaled score of 7, and a descriptive category of low-average. When corrected at hearing, the scaled score was 9 and the percentile rank was raised to 37, which changed the descriptive category to average. 19. Dr. Franke also misapplied the discontinue rule, erred in scoring the Rebus subtest, and miscounted the number of correct answers given by Student. This resulted in an incorrect cumulative score of 35. She failed to convert the cumulative score into a raw score, used that score as the raw score, and reported a scaled score on the Rebus of eight. The cumulative score should have been 33, the raw score 39, and a scaled score of nine. Dr. Franke testified that the errors did not result in a change from the average range. The errors in the Rebus subtest affected the Rebus Delayed subtest scores because the test protocol instructions require the Rebus Delayed test to begin at the stopping point of the Rebus. Specifically, it was necessary to have obtained a correct score on the Rebus in order to properly administer the Rebus Delayed subtest. The same rule applied to scoring the Atlantis Delayed subtest. 20. The Rebus and Atlantis subtests comprise the Long-term Storage and Retrieval index score. The scoring errors on these subtests resulted in an index standard score of 86. The standard score increased to 94 when corrected by Dr. Franke as the errors were brought to her attention at hearing. The correction elevated the overall category from below-average to low-average. 21. The Planning subtest measures the ability to solve novel problems by using reasoning. Here, the subtest scores were between average and below-average, and Student obtained an overall standard score of 80 which was in the below-average range. The Story Completion subtest was one of two tests included within the Planning subtest rubric. The test protocols for Story Completion allow the test administrator to give the child time points for any correct answers given in less time than allotted for the test. Dr. Franke testified that she gave time points to Student on the test protocol but when reporting the score she incorrectly identified the score as given without time points. This resulted in a discrepancy in her reporting of the manner in which she had administered the subtest. 22. The Knowledge scale measures the knowledge acquired by the student. Student’s scores on the subtests were between the below-average and the lower-extreme ranges. She obtained an overall standard score of 56, and was in the lower-extreme range. These scores were an indicator of Student’s expressive language delays. 23. The Nonverbal Index scores varied from below-average to average. Student obtained an overall composite score of 82, and was in the below-average range. Dr. Franke indicated that the pattern of scores suggested that Student did better with tasks that had a visual-motor component and relied more on rote memory than on abstract reasoning. 24. On further examination at hearing concerning administration of the KABC-II test protocols, Dr. Franke admitted that she administered the Conceptual Thinking subtest to Student. Dr. Franke testified that the test was not one of the core tests originally contemplated and that she administered the subtest to Student knowing she was not within the age range required in the test protocols. She elected to administer the test in any event because she wanted more information about Student’s cognitive profile. She testified that she was not required to report the test scores in the assessment report because the test was not required as part of the evaluation, and admittedly did not report the data in the assessment report. 25. The Berry-VMI is designed to measure changes in eye-hand coordination as the student matures. Student obtained a standard score of 92, which was in the average range. 26. The WRAML-2 is comprised of six core subtests that yield three indexes. The three indexes together form the general memory index. The test measures a student’s overall memory ability. Student obtained a composite score of 55, which was well in the below-average range. 27. The KTEA-II was administered to measure Student’s overall academic skills. The test provided composite scores in Reading, Math, Written Language, and Sound-Symbol. Student obtained a standard score of 85 in the reading composite, which was in the low-average range; a standard score of 65 in the math composite, which was in the lower-extreme range; a standard score of 89 in the written language composite, which was in the average range; and a standard score of 70 in the sound-symbol composite, in the below-average range. The report indicated that Student’s word recognition skills relied on rote memory and she tended to rely on visual rather than phonic cues. Student had difficulty with both problem solving and mathematical computations. Student’s written language skills varied and her spelling subtest score was average. Spelling was an area of relative strength for her. Dr. Franke concluded that Student’s phonological awareness skills were in the lower-extreme range largely due to Student’s lack of understanding of task instructions. 28. The KTEA-II test protocols require the test administrator to omit practice items when computing the raw score. At hearing, Dr. Franke admitted that she incorrectly added practice items in one of the reading subtests and she incorrectly computed the score on a math computation subtest resulting in incorrect standard scores. 29. The Language and Social Communication Skills tests were administered to measure Student’s expressive language and communication and receptive language skills. Expressive communication refers to a child’s ability to intentionally communicate with others. In this test, Student was observed across various settings at home, school and the clinic. Based upon those observations, Dr. Franke found that Student used eye gaze, gesture and some learned and spontaneous phrases and sentences to demonstrate intentional communication. However, Student’s overall rate of communicative intent was low. Similarly, Student’s ability to engage in and understand conversational discourse with others was limited. 30. The Action Picture Test was used to obtain a sample of Student’s spoken language. Student was required to look at a series of pictures and respond to questions about each picture. She obtained scores below the three-year-old level and well below the norm for her age. The resulting scores tended to show that Student did not understand all of the questions even though she attempted responses to all of the questions. 32. The Renfrew Bus Story was administered to measure Student’s functional expressive and receptive interpretive skills by assessing her narrative language and story comprehension. The report noted that normative data could not be used because Student was above the age for this test. Consequently, Dr. Franke used the test as an informal measure of Student’s language use. 33. The TAPS-3 is an assessment tool used to measure a child’s ability to comprehend auditory information. Dr. Franke attempted to administer the test but discontinued testing because, despite additional explanation and visual support, Student’s level of language development precluded her from understanding the test instructions. 34. Student’s social and emotional functioning was assessed with the use of the PDDBI and the SRS. The PDDBI is an inventory-rating scale used to facilitate the diagnosis of an Autism Spectrum Disorder in children aged one year and 6 months to 12 years and five months of age. The test is also used to measure problem behaviors and social communication. The inventory consists of ten subtests and five composite scores. The average child with autism will have domain T-Scores between 40 and 60. In the Approach/Withdrawal Problems section, domain/composite scores higher than 60 indicate increasing levels of severity. In the Receptive/Expressive Social Communication Abilities section, domain scores higher than 60 indicate increasing levels of competence. Mother and Student’s teacher completed the PDDBI. The overall rating indicated that Student’s overall features for autism were more severe at school than at home. 35. The SRS is a rating scale that provides information regarding a child’s social impairments, social awareness, social information processing, capacity for reciprocal social communication, social anxiety/avoidance, and autistic preoccupations and traits. Student’s teacher completed the SRS. Student obtained an overall score in the severe range. Teacher’s responses indicated that Student had significant problems with social cognition, or the ability to interpret social cues, social communications, expressive social communication, and social motivation to the extent that she was motivated to engage in social-interpersonal behavior. The report noted that the teacher’s ratings were consistent with Dr. Franke’s observations and parent report. 36. The ABAS-II is administered to evaluate whether an individual has various functional skills necessary for daily living without the assistance of others. Scores are provided for three broad domains of adaptive behavior. They include Conceptual (communication, academic, and self-direction skills); Practical (self-care, home/school living, community use, and health and safety skills); and Social (social and leisure skill activities). Student was rated by her teacher and parent as extremely low in her overall level of adaptive behaviors and all domains of adaptive functioning. Teacher ratings showed Student had strengths in functional academics and self-care and a weakness in self-direction. The report noted that Student demonstrated a similar pattern at home. The report also raised concerns about Student’s inattention, in particular in her awareness of safety issues. 37. Dr. Franke testified that, while there were errors in the scoring and administration of a number of the test instruments under the KABC-II and errors in the KTEA-II brought to her attention at hearing, these errors were not statistically significant and did not affect the outcome of the of the test results. 38. Dr. Franke explained at hearing, as summarized in her report, that Student presented with a language and communicative profile characterized by a language disorder that was pervasive and of the mixed receptive and expressive type. Dr. Franke explained that Student’s low language comprehension was holding her back. Further, Student’s weaknesses in the areas of social engagement and cognition contributed to Student’s language and communication problems. Student was verbal; however, her rate of initiation was low and she used communication primarily for behavior regulation, rather than for social interaction and joint attention. Student relied heavily on visual cues and had difficulty when information was presented only verbally. Student did well with rote learning, which was one of her strengths. Student also had strengths in “event knowledge.” Behavior problems at home and school seemed to be related to environmental demands and included such things as having to participate in tasks that were not meaningful to her or having to cope with new situations or changes in her routine. Dr. Franke did not observe Student engaging in outbursts during her observations. Dr. Franke also noted that Student’s adaptive skills were delayed when compared with similar-aged peers and believed that Student would benefit from goals to engage a peer in an activity, structuring her free time, increasing the amount of time she worked independently, and navigating her school day with more independence. 39. Dr. Franke found that Student continued to qualify for special education and services as a child with autistic-like behaviors. Dr. Franke also found that due to Student’s cognitive and language problems, the following program recommendations were appropriate: (1) Removal from a general education class/curriculum and placement in an SDC with one-to-one instruction for her academic skills, a modified curriculum based upon her developmental profile, and opportunities to interact with typical peers; (2) An activity-based approach to the development of meaningful and purposeful goals and activities to allow Student to use skills in settings where they are needed and applied; and (3) Careful consideration of the use of the applied behavioral analysis (ABA) with use of drills or DTT to teach new skills; (4) Frequent pairing of auditory information with supporting visual information and identification of key concepts that Student is expected to learn; (5) Requirement of all adults who interact with Student to speak to her at a slightly slower rate and offer her ample time to respond; and (6) Emphasis of a sight-word approach to reading to take advantage of Student’s relative strength in rote memory. Dr. Franke further recommended that an IEP team develop goals in all areas of importance for Student which included joint attention, social interaction, language and communication, and development of adaptive functioning skills. Training and supervision for adults working with Student was also recommended to facilitate her learning, make tasks meaningful and manageable for her, and to provide instruction in a particular format to enhance her learning and provide educational benefit. 40 Dr. Franke testified that she was familiar with the assessment instruments and tests she chose and administered, the tests were administered in conformance with the instructions provided by the producer of the tests, the tests were used for purposes for which the assessments were valid and reliable, the tests were selected and administered so as not to be racially, culturally, or sexually discriminatory, and the tests were provided and administered in English which was Student’s primary language. Dr. Franke testified that the assessment was appropriate. 41. An IEP team meeting was convened on March 31, 2009, to review the March 20, 2009 psychoeducational assessment report and to discuss Student’s annual program and services. Mother attended the meeting accompanied by her attorney Maureen Graves. District IEP team members included Heidi Dennison, School Psychologist; Holly Busta, ABA Supervisor; Liz Peterson, Program Specialist; general education and special education teachers; a speech and language pathologist; several NPA providers; a Spanish-language interpreter; Dr. Lauren Franke; and Diane Willis, attorney for District. Dr. Franke reviewed the assessment results and recommendations. The IEP team reviewed Student’s performance against the previous year’s goals and objectives and Student’s present levels of performance. The IEP team adopted Dr. Franke’s recommendations with a few modifications suggested by Student’s attorney. 42. The IEP offer included: (1) placement in a third grade SDC with a full time one-to-one aide; (2) 120 minutes per day of ABA instruction; (3) 120 minutes per month of ABA supervision; (3) 60 minutes per month of ABA team meeting collaboration; (4) individual speech and language services (LAS) of 100 30-minute sessions per year; (5) LAS group services of 50 30-minute sessions per year; and individual occupational therapy (OT) of 25 30-minute sessions per year. Mother requested Student be placed in the second grade SDC classroom for the entire school day and no longer mainstreamed for the time being. Mother consented to the change in placement to an SDC and to the implementation of all proposed goals and objectives. Mother wrote on the consent page that she consented to the proposed goals “as a starting point” and that she agreed to discontinue mainstreaming into second grade and ELD and requested identification of other mainstreaming opportunities. The IEP team notes for the March 31, 2009 meeting contained a remark indicating that Mother was requesting a psychoeducational IEE. The remark was interlineated and replaced with an initial “MRG” which indicated Mother withdrew the request for an IEE. 43. The IEP was not completed and was continued to May 6, 2009, to further discuss proposed goals and respond to Mother’s concerns. The team discussed a March 31, 2009 progress report of Student’s positive behavior intervention plan (PBIP) that had been developed to address the following behaviors: tantrumming, yelling, screaming, crying, throwing objects, pushing items off her desk, kicking things and people, and/or stomping her feet and lying on the ground kicking her legs. 44. Behavior data collected daily was reviewed from August 2008 through March 2009. The data showed an overall decrease in tantrumming behaviors from an average of 20 tantrums per week (or 4 tantrums per day) to an average of 1.3 per week (or 0.4 tantrums per day). The IEP team discussed the results and concluded that the BIP had been effective because Student no longer manifested the pervasively aggressive behaviors that had been identified in an October 2007 FAA, and she met and exceeded her behavior goal of no more than 2 tantrums per week. The IEP team decided to discontinue the BIP but continue the intervention strategies being used because they had been proven effective. Mother disagreed and brought up Student’s problem behaviors she had observed at home over the spring break. These behaviors were described as tantrumming behaviors. Student’s teacher observed some behaviors in the classroom since the spring break, such as turning away, laughing, screaming, and giggling. These behaviors were far less aggressive than those described by Mother and observed at home. Student’s teacher thought the classroom behavior might be a function of Student’s full-time placement in the SDC where she was receiving more demanding instruction. To address Mother’s concerns and follow up on teacher’s observations, the IEP team concluded that District should conduct another behavior analysis, and write another behavior plan if warranted. 45 On May 6, 2009, Mother signed an assessment plan to assess whether “off-task” behaviors were impeding Student’s learning. Mother signed the assessment plan that day. 46. Ms. Denissen is employed as a school psychologist in the District. She has a B.A. in psychology, and an M.A. in social work. Ms. Denissen has been a credentialed school psychologist since 2002, and is a member of the National Association of School Psychologists. Ms. Denissen is also certified as a Behavior Intervention Case Manager (B.I.C.M.) and has conducted 80 to 90 behavior assessments including FAAs. As part of her current job duties, Ms. Denissen attended IEPs, conducted psychoeducational assessments, and handled crisis interventions. Ms. Denissen had worked with children with mild to severe autism for six years, and had had special training in autism. Ms. Dennisen had previously conducted a psychoeducational assessment of Student in 2006, assessed Student’s behavior in 2007, and provided periodic behavior intervention progress reports from 2008 to 2009. Ms. Dennison was qualified to conduct behavioral assessments of Student. 47. Ms. Dennisen first discussed with Mother the behaviors observed at home, and discussed with Student’s teacher and speech pathologist the behaviors they observed in the school setting as reported to the IEP team. Ms. Dennisen determined that the reported behaviors of giggling, yelling, screaming and stomping her feet were not as aggressive, self-injurious, or assaultive in comparison to the behaviors previously observed in October 2007. She identified them as “off-task” behaviors. Ms. Dennison determined that, because of the effectiveness of the PBIP, Student no longer met the criteria for an FAA and that a functional behavior assessment (FBA) was more appropriate. 48. Ms. Dennisen conducted the FBA in order to determine the frequency of off-task behaviors, antecedents, and event settings affecting the occurrence of these behaviors, as well as determining the consequences of the behaviors. The assessment tools used included direct observations of Student in a variety of school environments, daily data collection by school staff, interviews with the special education teacher, instructional aides, an NPA provider of ABA services to Student under contract with the Regional Center, and Student’s parent. Ms. Dennisen also reviewed Student’s records including her cumulative record, health and developmental records, IEPs and reports. 49. The assessment data identified events that have lead to off-task behavior or antecedent events, which predominantly included events during the school day where instructional and academic demands were placed on Student. The consequences resulting from Student’s behavior included redirection, verbal prompting, visual prompts, changing Student’s seat, use of a therapy ball, and sitting with her teacher and reading a book. The most frequently used consequences were redirection and use of visuals. The data showed that the function of these off-task behaviors was to avoid academic work or a less-preferred activity. 50. Baseline data was collected for the entire school day by trained school staff over a six-month period from May 7, 2009, to December 8, 2009. The data used descriptive analysis, frequency recording, and observation. Ms. Dennisen summarized the assessment data in a Functional Behavior Assessment Report dated December 18, 2009. 51. During the assessment period, 64 instances of off-task behaviors were recorded with an average of 2.9 instances per week. The off-task behaviors were present throughout the school day with the majority occurring prior to noon. The assessment also measured the duration and intensity of the behaviors. 52. Ms. Dennisen recommended proactive and reactive strategies to decrease the off-task behaviors. She also provided a plan to decrease instances of off-task behavior by indicating that Student should be reinforced on a differential reinforcement of other behavior (DRO) and differential reinforcement of alternative behavior (DRA) schedule of reinforcement. The plan provided for Student to receive tokens on her token chart when appropriate. Ms. Dennison also recommended an IEP goal that the number of instances of off-task behavior would decrease to 1.5 times or less per week by March 31, 2010. 53. Ms. Dennisen testified that an FBA was appropriate because the behaviors did not rise to the level of aggressive self-injurious behavior that would warrant an FAA. Ms. Denissen collected information from a variety of sources, including review of Student’s records, information from classroom teachers, and Mother. She has the education and professional experience to administer the FBA. Ms. Dennisen credibly testified that she was knowledgeable of Student’s disability, she used a variety of tools to evaluate Student’s disability, the test instruments utilized were appropriate and validated for the purposes for which they were used, the test materials were selected and administered so as not to be racially, culturally, or sexually discriminatory, and the test was administered in Student’s primary language. 54. There was no evidence that Student’s behavior at school replicated the aggressive and self-injurious behaviors previously manifested in October 2007, nor was evidence presented that Student’s behavior in 2009 warranted another FAA. 55. An IEP team meeting was convened on December 18, 2009, to review the FBA report. Ms. Dennisen presented the report and recommendations. Mother and Maureen Graves requested clarification of the report. Mother agreed to the proposed behavior goal. 56. On December 29, 2009, Mother, through her attorney, expressed disagreement with Dr. Franke’s March 20, 2009 Psychoeducational Assessment Report and requested an IEE. 57. On February 1, 2010, Mother, through her attorney, expressed disagreement with Ms. Dennisen’s December 18, 2009 FBA Report and requested an IEE. 58. At hearing, Student presented expert witness testimony about Dr. Franke’s assessment from Dr. Caroline Bailey (Dr. Bailey). Dr. Bailey is an assistant professor at California State University at Fullerton in the Department of Social Work. She has a M.A. in psychology and a Ph.D. in clinical and developmental psychology. Dr. Bailey is a Post-Doctoral Fellow, having studied at the Mental Retardation Research Center, Department of Psychiatry and Behavioral Sciences at the UCLA School of Medicine. Among her current positions, Dr. Bailey is a staff psychologist at the UCLA Department of Pediatric Neurology. Dr. Bailey has conducted psychoeducational and neuropsychological assessments including IEEs funded by school districts. She has assessed over 75 autistic children in the course of her career including psychological testing with recommendations. She has testified in numerous hearings on the subject of psychological testing. She is qualified in the field of psychological assessments, but is not a licensed clinical psychologist. Her assessments, opinions and recommendations did not require such a license, although at the time of hearing she was preparing to take the examination for her license in clinical psychology. She is familiar with and has administered most of the tests used by Dr. Franke in the March 20, 2009 psychoeducational assessment. 59. Dr. Bailey credibly testified and confirmed the numerous scoring errors contained in the psychoeducational assessment and report. Dr. Bailey found that the errors on the KABC-II consisted of failure to convert raw scores, failure to properly compute converted scores resulting in incorrect scaled scores, failure to follow the discontinue rule resulting in incorrectly scored test protocols, failing to accurately compute the overall intelligence index, failing to report tests she administered, and failure to select the appropriate theoretical model. 60. Dr. Bailey testified that while an evaluator is not prohibited in the course of an assessment from conducting additional tests to obtain a more global profile of the test subject, it is inappropriate to conduct a test and not report the scores, even if it is an “out-of-range subtest” where the information gleaned from the test may assist the evaluator in better understanding the child’s cognitive ability or learning capacity, as in the case of the Conceptual Thinking test administered by Dr. Franke. Dr. Bailey explained that reporting such scores is essential to put other prospective evaluators on notice that the child was previously tested in that domain. It may also have been important information to share with the IEP team. 61. Regarding the scoring errors on the Rebus, Atlantis, Rebus Delayed and Atlantis Delayed test protocols, Dr. Bailey testified to the consequences of failing to follow the publisher’s instructions. If the rule is not followed, the score obtained will misrepresent the overall quantity of the information the child actually knows, rendering the test inaccurate. 62. Dr. Bailey was equally as critical of the errors found in the scoring of the Story Completion and Block Counting subtests, and the administration of the KTEA-II test. Dr. Bailey testified that when she sees this amount of scoring errors occurring in an assessment, it is questionable whether the evaluator understood and followed the directions in the test manual. To Dr. Bailey, the numerous errors called into question the thoroughness and integrity of the assessment. 63. Dr. Bailey testified that precision in test scoring of standardized tests is the professional standard required of all evaluators. She explained that in order to determine whether a test score is statistically meaningful, it must be accurate to enable a comparison to other data within the standardization samples upon which the evaluator relies; otherwise, the scores are blatantly uninterpretable. Dr. Franke similarly testified that she is bound by the same professional standard. Overall, Dr. Bailey concluded that Dr. Franke’s scoring errors were too numerous and problematic, and invalidated the overall assessment results. 64. Dr. Bailey also criticized the theoretical model chosen by Dr. Franke. Dr. Bailey persuasively opined that Dr. Franke should have administered the KABC-II using the Luria model because it is designed to evaluate children with atypical neurological development like Student. Based upon the test authors’ instructions, the CHC model is not designed to assess learners like Student and would be more appropriate for a high-functioning autistic child with Asperger’s Syndrome. Dr. Bailey testified that, because of Student’s developmental history and language delays, Student met the many of the criteria that called for application of the Luria model. Dr. Bailey explained that the Luria model was designed to be a more culturally fair method to assess how children like Student receive and learn information. Because of the above, Dr. Franke’s choice of the CHC model was not appropriate. Dr. Bailey also criticized Dr. Franke’s use of the CHC model because the knowledge component of the model contained language achievement-loaded tests which could not afford an opportunity to adequately measure Student’s language skills given Student’s severe expressive and receptive language delays. 65. In summary, Dr. Bailey opined that, whether or not the scoring errors in District’s assessment made a difference in the outcome of the assessment and the recommendations made to the IEP team, the amount and type of errors were still concerning to her because: (1) the professional expectation is that testing is done in a manner calculated to yield results that are valid, reliable and correct; (2) test manual instructions and protocols require accurate scores; (3) failure to meet the testing standards raises questions of the competence of the evaluators and their understanding of the test instructions; and (4) Student is entitled to an appropriate assessment. 2. District contends that Dr. Franke’s psychoeductional assessment was properly conducted and met all the necessary legal and educational requirements. Accordingly, District contends that Student is not entitled to IEEs at public expense. District further argues that Student only seeks IEEs for the purpose of preparing expert testimony for a subsequent due process filing. However, this second contention is not relevant to the issues presented for hearing and will not be addressed. 3. Student contends among other maters that the District failed to establish the appropriateness of the psychoeducational assessment because: (1) District failed to establish that Dr. Franke was a school psychologist; (2) Dr. Franke failed to administer the testing protocols in conformity with the publisher’s instructions; (3) the scoring errors were significant enough to impact the interpretation of the test results and the subsequent recommendations for placement and services; (4) the KABC-II should have been administered using the Luria theoretical model; and (5) the assessment was selected and administered in a manner that was racially and culturally discriminatory. 10. In some respects, District’s psychoeducational assessment met some of the legal requirements for assessments under the IDEA and the Education Code. District used a variety of assessment tools and strategies, which included, review of Student’s records, classroom observation, in-home observation including the delivery of ABA services, and clinical observation including information provided by Mother, to gather relevant and functional information about Student. The assessments were administered in English, Student’s primary language. 11. Student’s contention that the assessment instruments were selected and administered in a manner that was racially and culturally discriminatory is without merit. There is no evidence that Dr. Franke was racially or culturally biased in her selection or administration of the assessment instruments. Moreover, Dr. Franke testified that the KABC-II was designed to be culturally fair and was useful in the assessment of minority children. 12. Nevertheless, District failed to meet its burden of demonstrating that District’s psychoeducational assessment was properly conducted. 13. School districts are mandated to utilize the services of a credentialed school psychologist to conduct any psychological assessment of pupils. Individual tests of intellectual or emotional functioning must be administered by credentialed school psychologists. While the evidence establishes that Dr. Franke is a Doctor of Clinical Psychology contracted out to various school districts in her areas of expertise, Dr. Franke testified that she is a clinical psychologist and that she is not a credentialed school psychologist. District’s school psychologist, Ms. Dennisen, had been assigned in the past to conduct Student’s psychoeducational assessment, but there is no explanation of why she was not assigned to conduct the assessment in this instance. District relies on OAH case number 2009100450, cited in its closing argument, to support the assertion that Dr. Franke met the legal requirement to conduct the assessment. In that case, District was also the petitioner where District sought a determination of the appropriateness of its assessment. In that case, Dr. Franke had also conducted the assessment at issue. There was, however, no specific factual finding that Dr. Franke met the requirements under the education code as a credentialed school psychologist. Further, the undersigned is not bound by the findings made in that case. 4 Accordingly, District failed to meet the legal requirement that a psychoeducational assessment be conducted by a credentialed school psychologist. 14. Additionally, Dr. Franke failed to follow the KABC-II test authors’/publisher’s instructions regarding selection and application of theoretical models. Here, the test manual and authors’ instructions provided a choice of models to ensure an appropriate and fair test result. Selection of the Luria or CHC model was within the evaluator’s discretion. Dr. Franke testified that she chose the CHC model because of the knowledge component. She believed that testing Student’s knowledge comported with the request from District to assess Student’s present levels of functioning in academics. She also testified that, while the Luria model may have provided slightly higher standard scores in some subtests, she did not consider that significant. Dr. Bailey’s testimony regarding the importance of selecting the Luria theoretical model to evaluate Student was more persuasive. Dr. Bailey persuasively opined that Dr. Franke should have administered the KABC-II using the Luria model because it is designed to evaluate children with atypical neurological development like Student. Based upon the test authors’ instructions, the CHC model is not designed to assess learners like Student and would be more appropriate for a high-functioning autistic child with Asperger’s Syndrome. Dr. Bailey testified that, because of Student’s developmental history and language delays, Student met many of the criteria that cried out for application of the Luria model. Dr. Bailey explained that the Luria method was a more culturally fair method to assess how children like Student receive and learn information. Because of the above, Dr. Franke’s choice of the CHC model was not appropriate. 15. The testimony of Dr. Bailey that Dr. Franke’s scoring errors raised questions about the integrity and validity of the assessment as a whole was also persuasive. Dr. Franke failed to follow test protocols in scoring, which resulted in an incorrect cognitive profile of Student. Most troubling is that Dr. Franke was not aware of these errors until she testified at hearing. Dr. Franke’s findings and recommendations to the IEP team were based upon the scoring errors and shaped their opinions of what Student’s needs were at the time of the IEP. Dr. Franke’s testimony that the errors were not statistically significant and would not change the outcome of her findings and recommendations was not persuasive given the number of errors and the fact that she was unaware of the errors until testifying at hearing. 16. An accurate assessment is important in all cases so that a Student’s unique needs are identified and so that an IEP addressing those needs can appropriately be written. 17. The assessment as a whole was not properly conducted because the KABC-II, as well as other subtests, was not administered in accordance with the instructions provided by the producer of such assessments. The evidence demonstrates that the errors on the KABC-II consisted of failure to convert raw scores, failure to properly compute converted scores resulting in incorrect scaled scores, failure to follow the discontinue rule resulting in incorrectly scored test protocols, failing to accurately compute the overall intelligence index, failing to report tests administered by Dr. Franke, and failure to select the appropriate theoretical model. Overall, Dr. Bailey credibly and persuasively concluded that Dr. Franke’s scoring errors were too numerous and problematic and, therefore, invalidated the overall assessment results. 19. District contends that the FBA conducted by Heidi Dennisen was properly conducted and met all the necessary legal and educational requirements. Student contends that District failed to establish that the FBA summarized in the FBA report of December 18, 2009 was appropriate because District failed to evaluate and consider Student’s attentional and “on-task” issues. 21. The FBA was conducted at Mother’s request because of her concerns about Student’s behaviors as she observed them at home. Student’s teacher shared those concerns but only because of new and different behaviors observed at school. The evidence is that the IEP team including Mother understood that these behaviors were considered off-task behaviors. The FBA was developed specifically for the purpose of assessing these off-task behaviors. 23. District complied with the legal requirements for conducting the FBA as follows. Mother was presented with an assessment plan and consented to the plan. District reviewed Student’s records and prior FAA, used a variety of assessment tools and strategies including observation and data to gather relevant functional and behavioral information, including information provided by the parent. The FBA was conducted by Ms. Dennisen who was knowledgeable of Student’s disability and had evaluated Student in the past. She did not use any single measure or assessment as the sole criterion for determining Student’s behavioral needs. The assessment was selected and administered so as not to be discriminatory on a racial or cultural basis; it was provided in a language and form most likely to yield accurate information on Student; and the assessment tools were used for purposes for which the assessments were valid and reliable. Heidi Dennisen credibly testified that the assessment was appropriate. There is no evidence that District’s FBA was inappropriate. 1. District’s March 20, 2009 psychoeducational assessment was not properly conducted and District must provide Student an IEE at public expense. 2. District must complete an independent psychoeducational evaluation for Student and hold an IEP team meeting for Student within a total time not to exceed 60 calendar days from the date of this order, not counting days between the Student’s regular school sessions, terms or days of school vacation in excess of five school days, unless Student’s parent agrees in writing to an extension of time. 3. District’s December 18, 2009 functional behavior assessment (FBA) was properly conducted such that District has no duty to provide Student with an IEE at public expense. Pursuant to Education Code section 56507, subdivision (d), the hearing decision must indicate the extent to which each party has prevailed on each issue heard and decided. Here, Student is the prevailing party on issue number one and District prevailed on issue number two.